Pre-flop raising is a corner stone in the strategy of most successful players. Raising pre-flop is a really easy strategy to learn but one that can have a large effect on your success. There are many reasons as to why pre-flop raising is so important for successful poker but some of the most important are. It allows you to take command of the hand while showing strength. 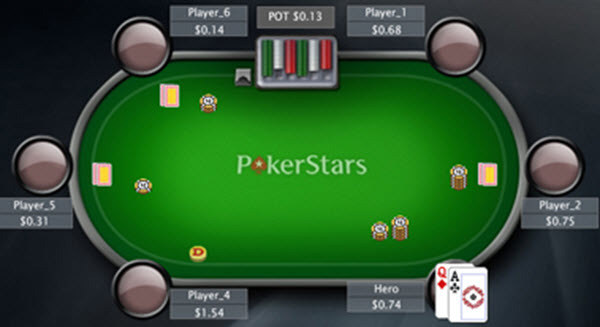 By raising pre-flop you can control the hand and decide what happens after the flop. Most players will wait to see what you do on the flop before they decide how they want to play the hand. Your opponents will have more respect for you and might fear what you are going to do. This gives you a good position to bluff from even if you do not hit the flop. It limits the cards your opponents are likely to have. This makes it easier to read their hands. If you make a strong pre-flop raise than your opponents will need to have equally good or better cards to call. They will need cards good enough to justify the call. It is unlikely that someone calls with bad cards (please note that it will happen that they do and that they get lucky. In this situation it is important not to tilt) By raising pre-fop you also get rid of all limpers. All this reduces the risk that anyone has hit rags on a bad flop and make the continuation bet safer. By raising pre-flop you can achieve higher discipline. By always raising or folding you will reduce the amount of marginal hands that you end up playing. Hands that over time will cost you a lot of money. Never play a hand if you do not feel comfortable raising pre-flop.